The Multi-colored Bay is also called the “Multi-colored City”. 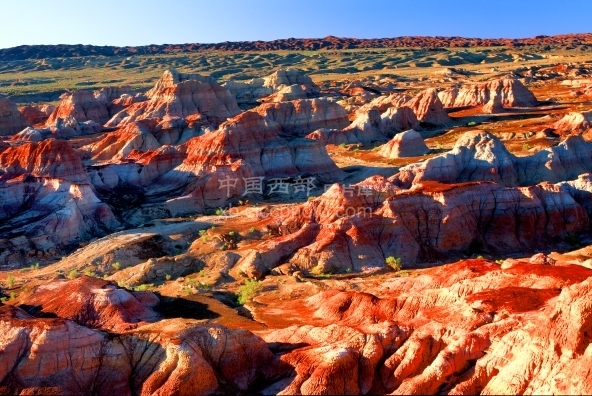 The connected hills in this region present many colors like yellow, white, black and green with the main color of red. After years of wind, sunlight and rain, it has the “Yardang landform” which looks like the outline of a city. This is why it is also called the Multi-colored City.